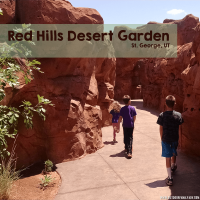 Pine Valley Utah is a short 40+ minute drive from St. George and a complete change of scenery from our typical desert and red rock landscape. Pine Valley offers all kinds of recreational activities whether it be during winter, spring, fall or summer. A wonderful spring and summer activity is camping near the Pine Valley mountains (part of the Dixie National Forest). One of the many reasons we love spending time in Pine Valley during summer months is the weather!! It tends to be a fantastic 15 or so degrees cooler than St. George. Don’t mind if I do! A much welcomed break from our typical 100 degree summer temps. We spent our quick camping trip in the Ebenezer Bryce Campground (previously named the Blue Springs loop). This camping area is meant for tent camping or small trailer camping. It has 11 single campsites, which house up to 8 people; and 3 double sites, which house up to 16 people. Our family of 6 felt very comfortable in a single campsite. The tent pad had enough room for our 8 man tent and our 4 man tent. I appreciated the spacing between the camp sites. Although your neighbors are visible, and you will hear happy noises from other campers, you aren’t sitting right next door to one another. Even with being able to see our neighbors, we still were able to enjoy our family time and forgot the others around us. No conversations held at a normal speaking level could be heard from other campers (of course our family is notorious for not having “inside” voices — sorry in advance other campers!!). 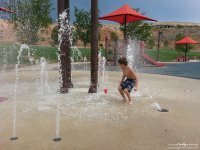 The campgrounds are surrounded by various desert pines, such as the ponderosa pine, pinyon pine and junipers. The tall trees offer welcomed shade from the sun (and plenty of dry pine needles for starting your fire). You are allowed to use any wood already on the ground for firewood, but you cannot chop the trees or other vegetation. Our tent pads did house a lot of large black ants. With that said, the ants didn’t really bother us. We didn’t see any in our tent or see many around the fire pit. However, when we were folding up the tents, they were EVERYWHERE. Be sure to check your tent pad and tents as you are leaving to make sure you don’t have a stowaway. Camping between Memorial Day and Labor Day means that the campground will offer drinking water for you to replenish your supply. There is also a vault toilet (my kids called it the ‘Pit o’ Poop’). It is a non-flushing toilet (much like a permanent outhouse — or “biffy” as I call them). However, the bathroom (well, single toilet) was immaculate and there was never an offensive smell. Pretty impressive, actually. These were some of the cleanest campground bathrooms I have seen. The toilet was also in close quarters to all camp sites. It wasn’t too far of a walk for my 4-year-old that waited a little too long to tell me they had to “go”. One of the draws to the Ebenezer Bryce Campground is that you are within a stone’s throw of the creek. The creek is a fantastic place to let the kids adventure out from the camp site and enjoy their surroundings. If you want a defined trail to take, there are plenty of options, too. This campground is within walking distance of the Equestrian Trail, Whipple Trail and so many more. 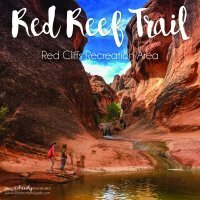 Click here for additional trail information. In the picture above, you can see our camp site through the trees. A quick walk to the forest makes for some very happy kids. If you plan on camping in Pine Valley, make sure to bring your fishing poles. Pine Valley Reservoir is fully stocked with fish and has lots of room around the reservoir edge to fish from. You can stand at the base of the dam, below the picnic areas, or even on the little white dock. Note that this reservoir is for fishing only; no swimming is allowed. My kids got a kick out of seeing wild turkeys roaming around. Make sure to keep your eye out for the turkeys! My son was the only one that was able to spot one. Even more fun was waking up to their gobble-gobbles. Of course, we are pretty early risers, so you may have to wake up pretty early to hear them. 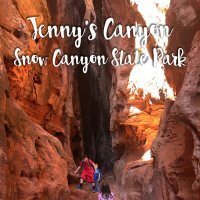 If you are trying to camp with kids for the very first time, this is a GREAT place to begin. 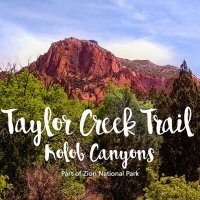 If you have been camping plenty of times before, this is also a great place to visit. I love that it feels like we hit the road for a big adventure, but only had to spend 30 or so minutes in the car. I also love the temperature drop and beautiful scenery! We love Pine Valley and plan to continue camping and visiting whenever we get the chance.